The waste can be more than just bothersome. Climbers on Denali, the centerpiece of sprawling Denali National Park, get all their drinking water by melting snow. Michael Loso, a glacier geologist, calculates that 36,000 climbers between 1951 and 2012 deposited 69 to 97 metric tons (152,000 to 215,000 pounds) of feces onto Kahiltna Glacier, part of the most popular route to Denali's summit. For more than a decade, the U.S. National Park Service has required that climbers keep waste off the Alaska mountain's surface. 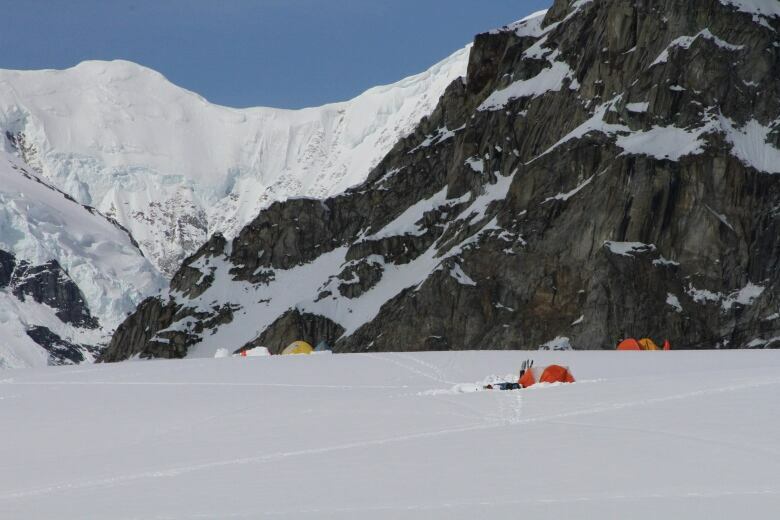 Mountaineers captured their poop in biodegradable bags held by portable toilets and pitched it into deep crevasses on the glacier. Human waste is a concern on most mountains that attract multitudes of climbers, and the issue of poop littering the routes up Mount Everest in Nepal is well-documented. Some mountains are trying to minimize the human waste problem. In Japan, bio-toilets have been set up along the route to Mount Fuji's summit, and incinerator toilets are at the top. In Tanzania, latrines have been built for climbers making their way to Kilimanjaro's summit. The waste can be more than just bothersome. Climbers on Denali, the centerpiece of sprawling Denali National Park, get all their drinking water by melting snow. And snow contaminated by human excrement can spread dangerous bacteria such as E. coli, causing climbers intestinal distress and diarrhea leading to dehydration, a life-threatening condition at high altitude. 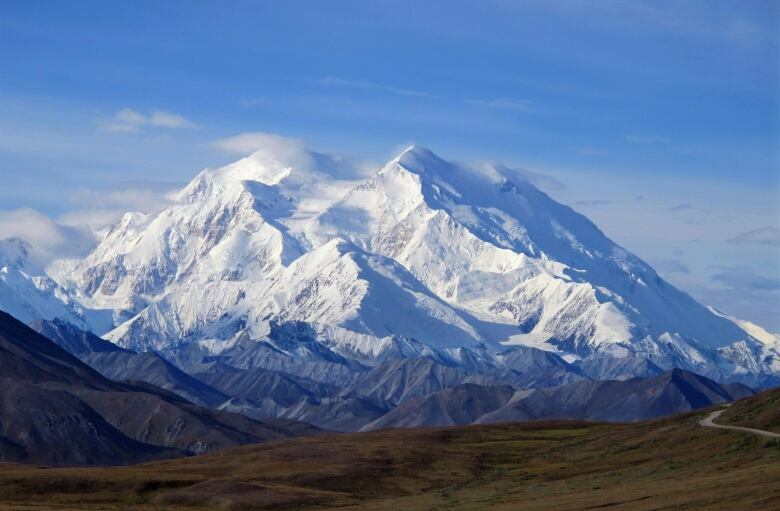 Each year about 1,100 people try to reach Denali's summit at 6,190 meters. More than 90 per cent use a route that starts from a landing strip for small airplanes on Kahiltna Glacier. Starting in 2007, the Park Service required that human waste be collected in "Clean Mountain Cans," a portable toilet invented by a Denali park ranger that looks like an extended coffee can. Under current rules, climbers between the base camp and 4,572 meters are allowed to toss filled liners into crevasses. Rangers even marked safe places to do so. 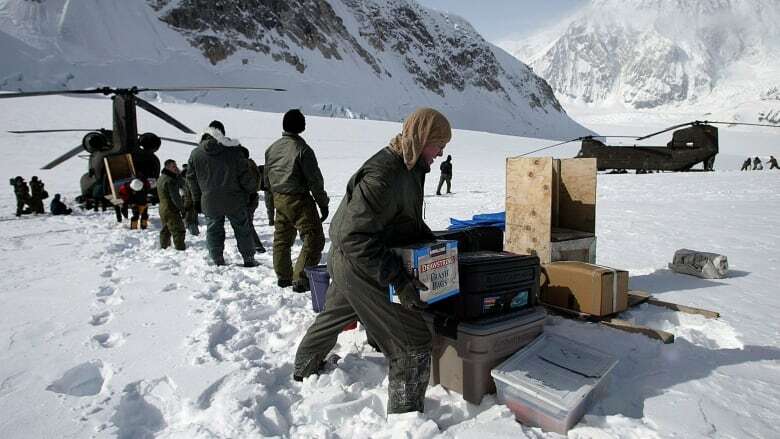 He forecasts that poop could emerge soon on the glacier surface 11 kilometres below the base camp, where the surface melts faster than snow accumulates. Under proposed rules, all Denali dung must be deposited in one of two places: the ranger station at Talkeetna or in a crevasse at "Camp Four," a campsite at 4,330 meters. Waste dumped there tumbles down a huge ice cliff and is likely to be pulverized and rendered inert, said Erickson, the mountain ranger. "Who would like to see a big pile of human waste?" he asked. "That's disgusting."